A quick doodle for today's IF topic, shades. 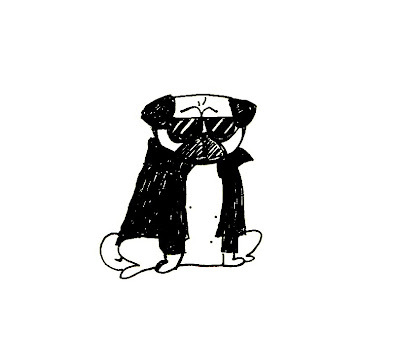 Pug is just too cool for you. This is an extremely cool pug. Cooler than my pig, even. Oh my gosh, move over Danny from Grease! (And we can all forget about Adrian Zmed anyway, right?) Coolest dog in school, for sure. ...and he knows it! Love the wrinkled brow. : ) Very cool pug! Thanks everyone! I was totally thinking of Danny from Grease and of course the Fonz when doing this one haha.